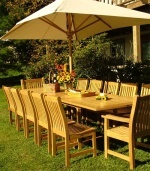 The Grand Veranda Teak Picnic Table set comes with 4 Backless Teak Benches and 1 Grand Veranda Teak Extension Table. 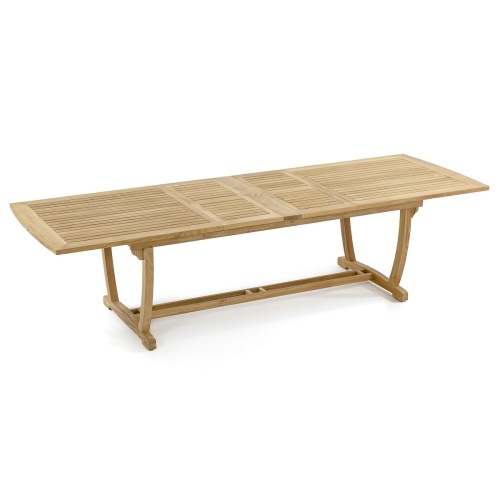 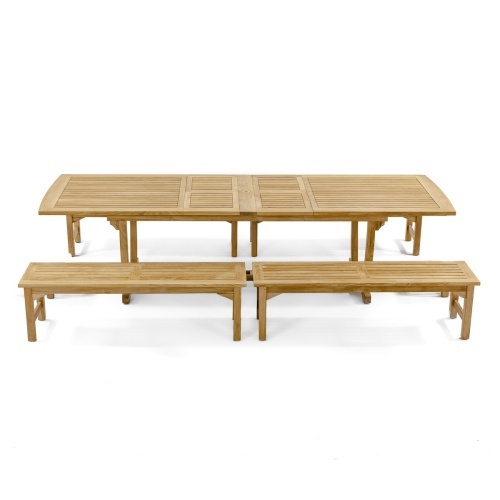 A great large Teak picnic set that exemplifies quality and sturdiness. 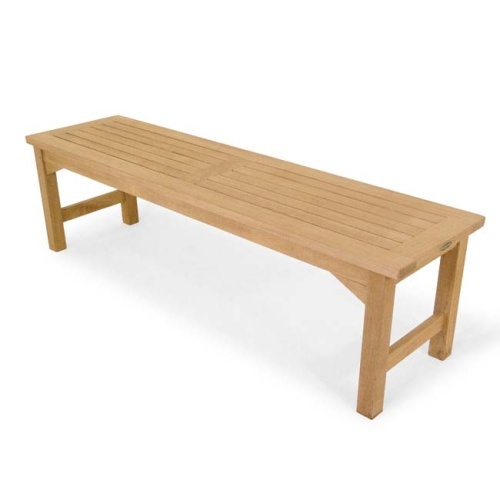 The Teak benches are easy to move, yet very stable. 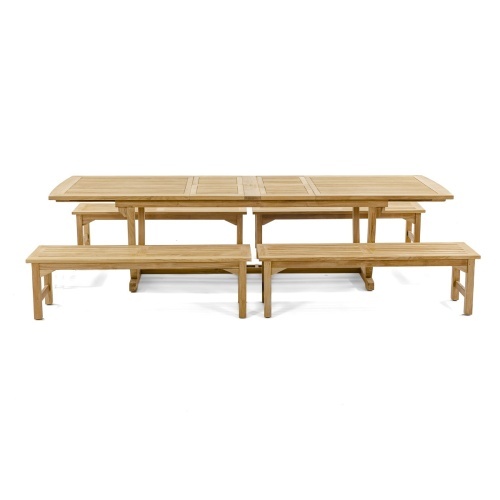 Remove one set of benches and close the leaves for a smaller Teak picnic set. 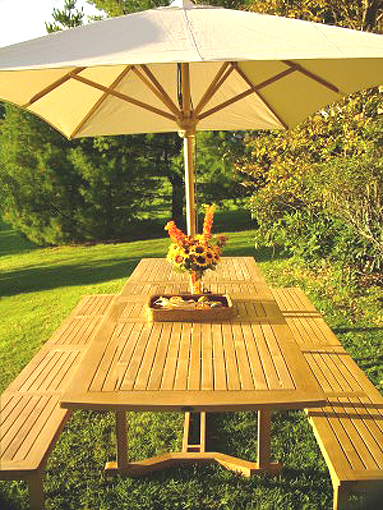 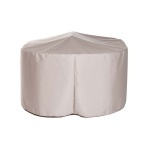 The Teak Umbrella can be used in either table position. 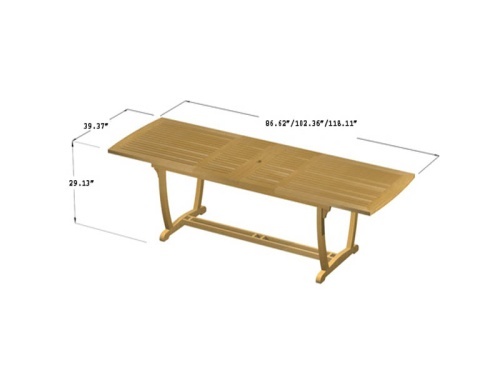 The time is now 02:52 AM EST!